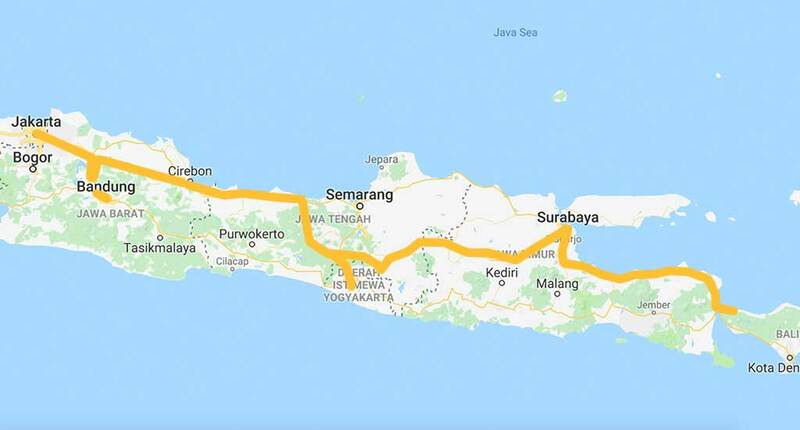 1500 kilometres, 10 different cities: It’s an unforgettable adventure to do a Java Roadtrip and go by car from Jakarta to Bali. There is no better way to understand the authentic side and mentality of Indonesia. 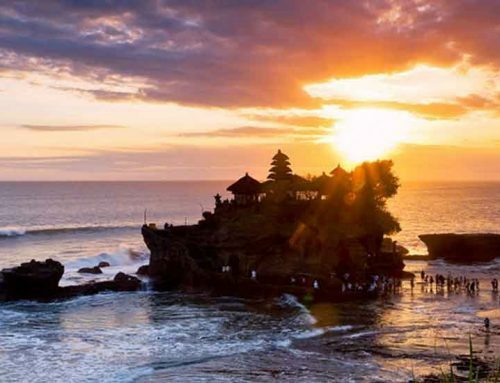 On one side you will need a good preparation, strong nerves and patience but on the other side you will see spectacular landscapes, the daily live of Indonesian people, the diversity of this country and great hotels on Java. It’s less romantic than doing a Bali roadtrip but for everyone who wants to see the real Indonesia, we recommend the Java roadtrip. We did this trip between 25th December 2017 and 2nd January 2018 and recommend the following route. It’s the best to request the rental car in advance via email at Avis or another international rental car company. No need, to book and pay the car in advance. You can do this in Jakarta when they deliver your car directly to your hotel. Please ask also for the “kartu jalan tol”. It enables you to use the automatic payment lane and saves you time. You can charge it at all rest stations. For our route you need around 350.000 IDR on your card. Moreover a small car is a big advantage on Indonesian streets considering the narrow streets and bad traffic conditions. We booked an Toyota Avanza and it was the perfect size for two people plus four big peaces of luggage and additional hand luggage. A must have for the navigation is the google maps app on your phone. A local sim card and also an usb cable for charging or as an alternative a powerbank might be a good thing. Our adventure starts in Jakarta. It will take us one week to reach our final target Bali. Different airlines serve the route to Jakarta and it’s not challenging to find a flight connection. Arrived in Jakarta, we go via the Blacklane driving service to the Fairmont Jakarta (see also alternatives). 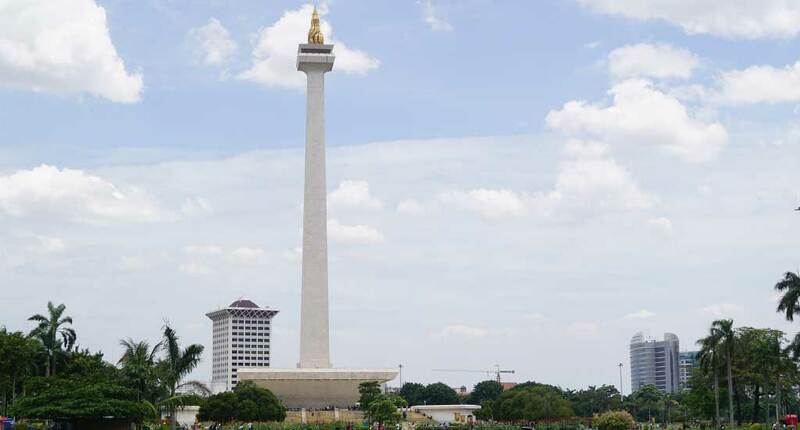 It’s surprising in respect of the size of the city but there are only very few sightseeing hotspots in Jakarta which can be easily visited in one to two days. 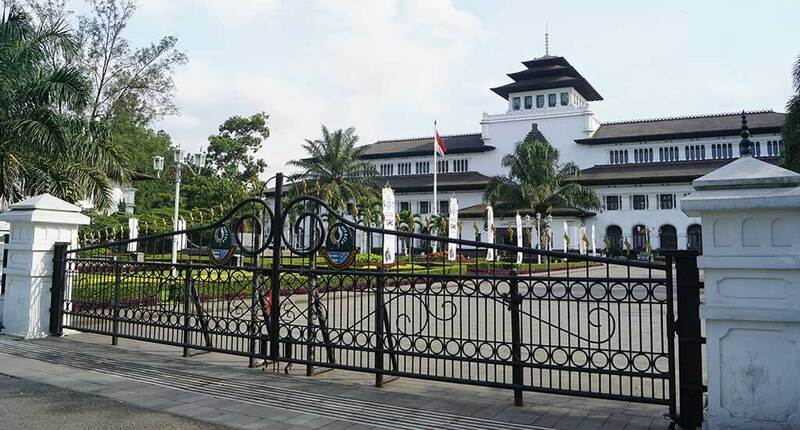 For example the minimalistic National Museum placed at Mardeka Square (“mardeka” means independence), the government building “Gedung Gede”, the Indonesian National Museum and when you have more time, you should visit the “Thousand Islands” outside the city. You should calculate one hour by car to leave Jakarta because the traffic is really bad. Luckily, there is a highway to Bandung and in around three hours you will arrive in Indonesia’s third largest city Bandung. 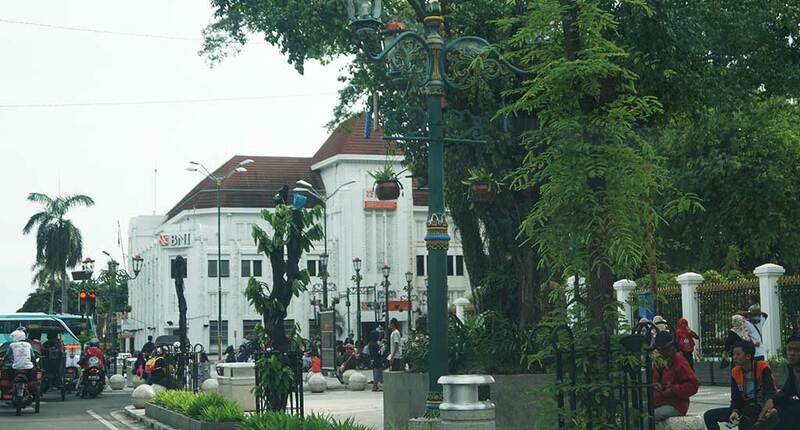 Moreover it’s the capital city of Barat Java/ West Java and it’s also called the “Paris of Indonesia” because there are still beautiful old houses from the Dutch occupation period left in the city centre. You shouldn’t expect too much culture and beauty but it’s definetely a must do including the administration building “Gedung Sate”. 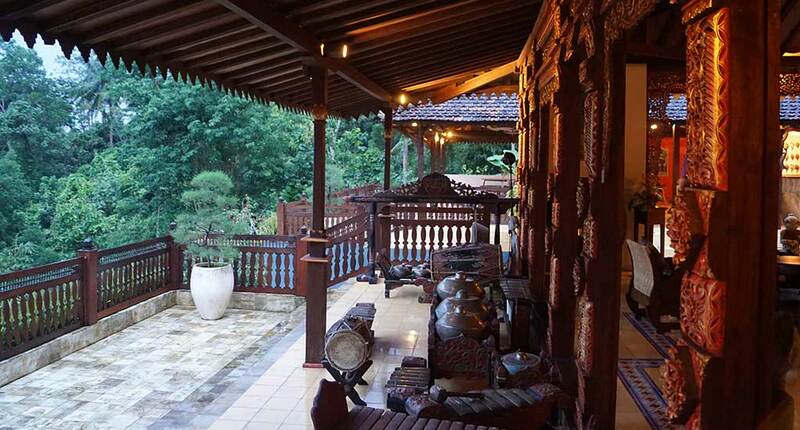 The best hotel in Bandung is the traditional five-star Padma Hotel. As an alternative you can consider the business targeted Hilton Hotel, too. 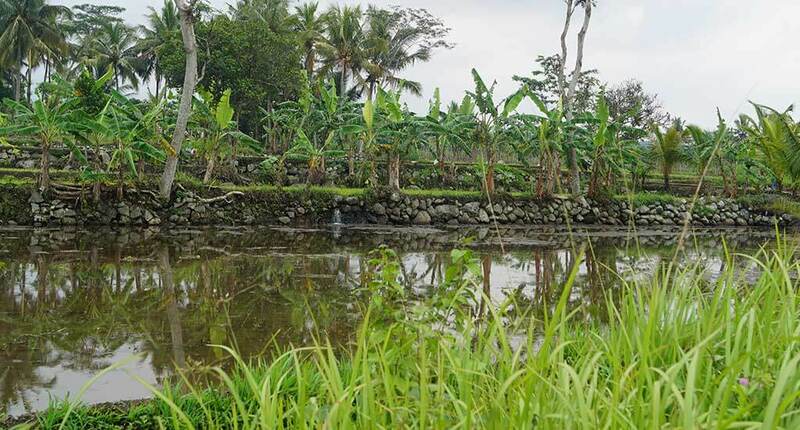 On the way to Bandung you see rice field after rice field and we did a side trip to Purwakarta to see the water reservoir “Jatiluhur Dam”. 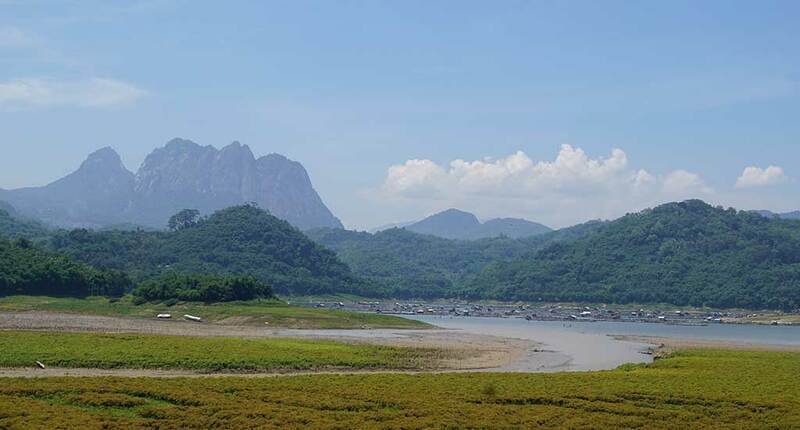 It’s a good place for a nice view of Mount “Burangrang”. Honestly we thought it would be more spectacular and we wouldn’t give a real recommendation for this time intense side trip. Our picture gives you an idea of what to see. 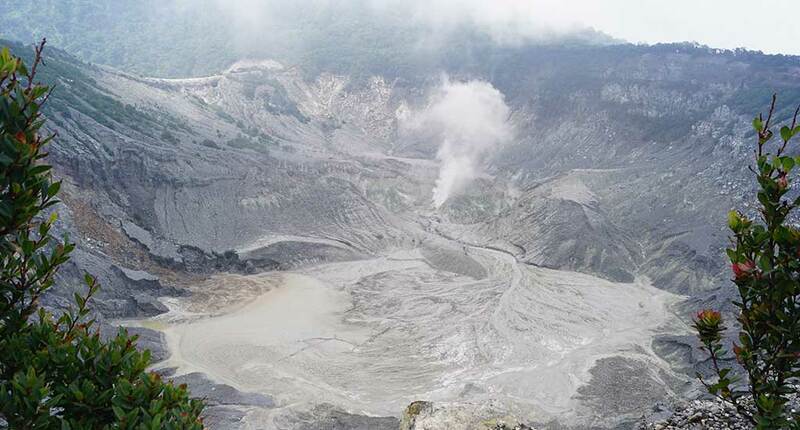 On the way from Bandung to Pekalongan you shouldn’t miss the only drive-in vulcano, Indonesia’s Tangkuban Perahu next to Cikahuripan and Lembang in the Regency of West Bandung. 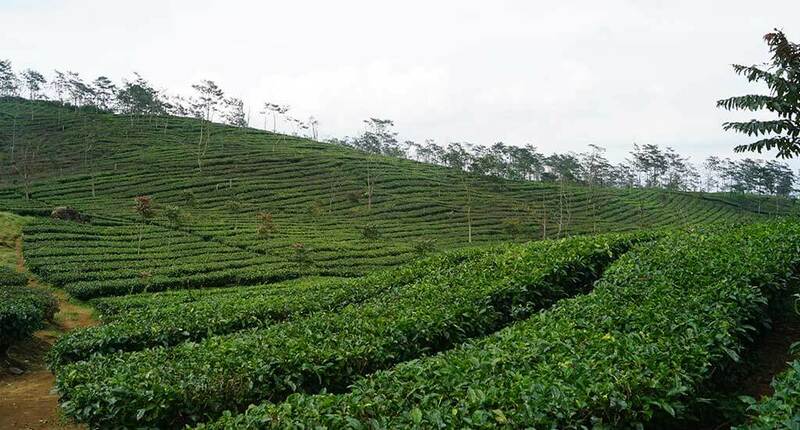 It’s 90 minutes away from Bandung and highly recommended during week-days. On weekends and holidays the place is very crowded and you will experience traffic jam on top of the mountain and even before. Don’t be surprised to pay ten times more for your entrance fee in comparison with domestic visitors. 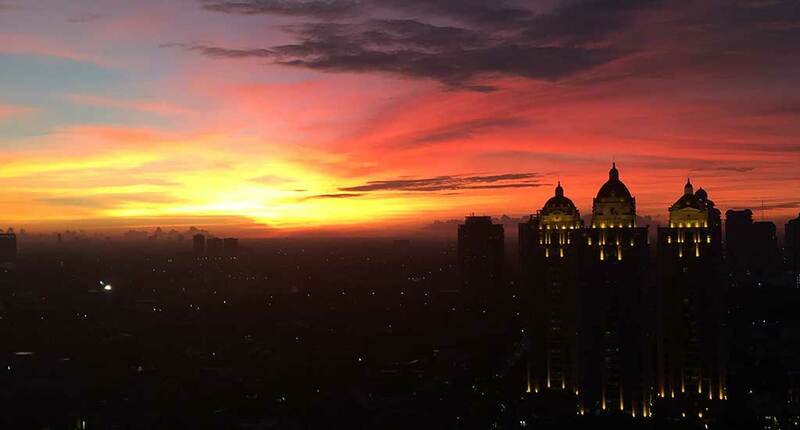 In 2017 the fee is 300.000 IDR per person and 35.000 IDR for your car but the stunning view is simply great. On the way down you will also pass some typical tea platations. Passing Cirebon, you can stop at Gua Sunyaragi to see a mysterious building in the shape of a cave. 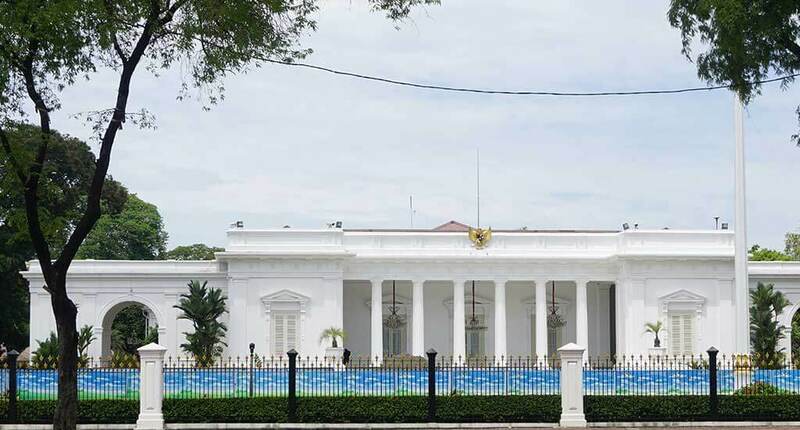 In earlier times the building was part of a recreation temple of the sultan of Cirebon. In case you have enough time, you should have a look. We stayed one night in the Santika Hotel in Cirebon but we cannot recommend it because it’s a thirty years old building missing modern standards. Moreover you will here the sleepless chanting of the muezzin in the night and in the morning. Earplugs needed! We would recommend you to go to the city of Pakalongan to stay there for the night, even when the highway only goes until Brebes. In 2018 the highway to Pekalongan might be extended. The Santika Hotel in Pekalongan belongs to the same Indonesian hotel chain like the Santika in Cirebon but it’s newer and more modern. On our fourth day of the Java Roadtrip we did a four hour and twenty minutes drive to go to Borobudur. Based on the fact that there are no highways at all you can expect an exhausting day and you really need to be careful on the streets. 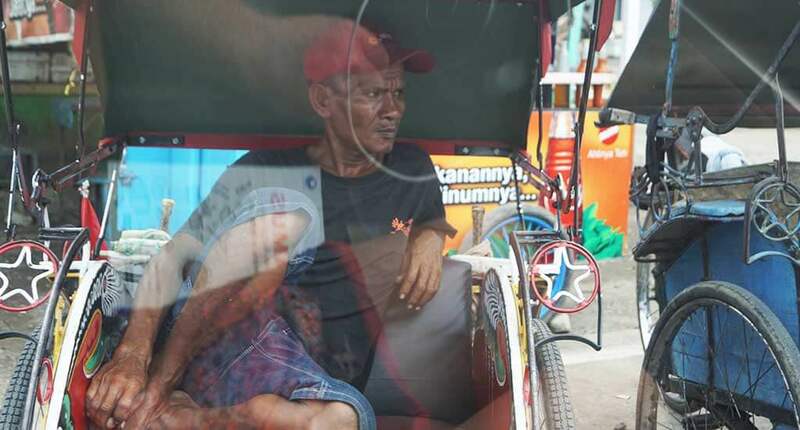 The challenge of driving in Indonesia is mainly based on the different speed levels on the street in respect of motor bikes, trucks, cars, rikschaws, buses, bikes, horses, and people walking in between. In Borobudur we want to highlight the unique hillside resort “Villa Borobudur” with the environment of a traditional Indonesian palace overlooking the valley of Borobudur. 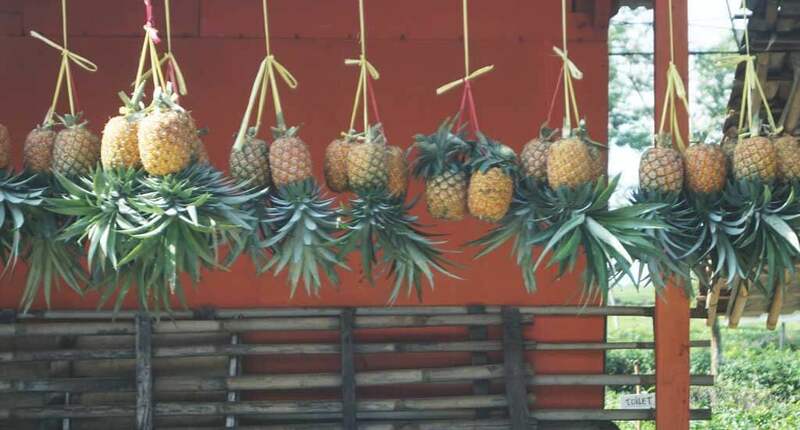 As an alternative you should consider the Amanjiwo, the Plateran or the Plateran Heritage Resort. The best time to visit the Borobudur temple is in the very early morning to watch the sunrise or in the late afternoon to see the sunset. During the day it’s a super crowded place and moreover you will ask for shadow. The Villa Borobudur Resort is really like in a fairy tale. So we decided to stay another night at this gorgeous place. In the morning we visited the beautiful Borobudur temple. It’s very impressive and offers some phantastical views. No way to skip this – it’s a must see. In the afternoon we drove to Yogyakarta because we expected to see something like the cultural heart of Java. 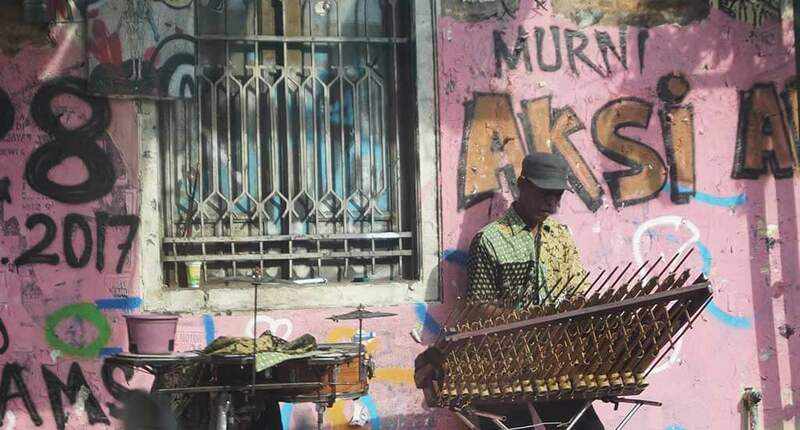 It’s true: The city is very young and has an old city centre linked to the period of occupation by the Dutch but everything else in this city looks pretty much the same like other Indonesian cities. As you notice, we were not really convinced and we hesitate to recommend the city walk to you because there is simply too much traffic jam in comparison with the few cultural highlights. 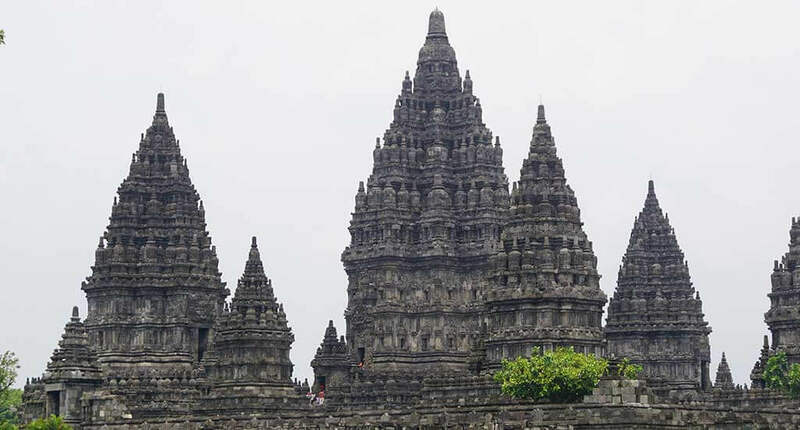 On a Friday we go from Borobudur to Klaten to see the famous Hinduistic Prambanan Temple. For the distance you should calculate around one hour and thirty minutes. 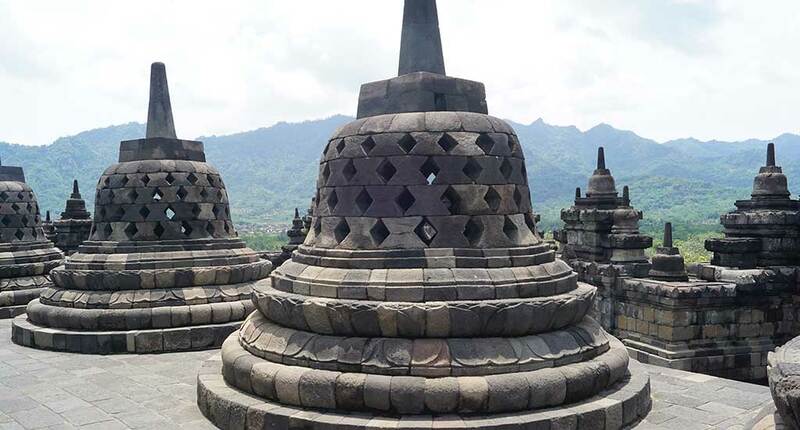 It’s a similar experience to Borobudur: Very crowded and for foreigners the ticket price is 337.500 IDR. Included is a bottle of water as a welcome drink and a nice and air-conditioned lobby plus toilets in Western standard. I mention this because it’s not something you experience everywhere. 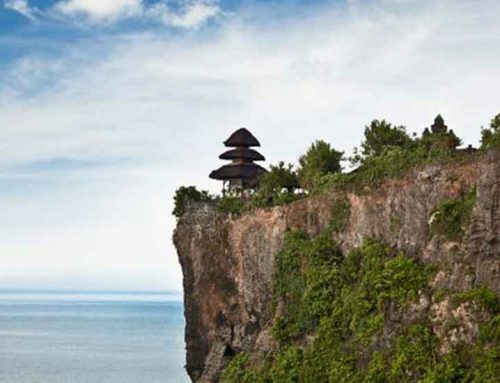 The temple itelf is really impressive and beautiful and definitely a must see in Java. You will enjoy it. 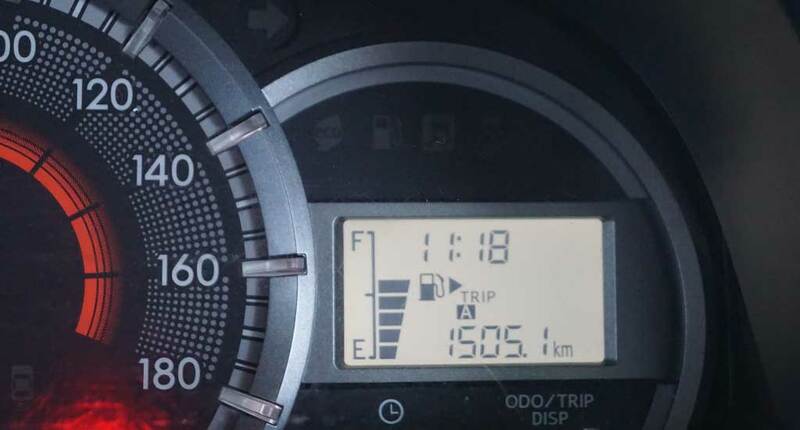 100 km for day 7 of the Java roadtrip is not too much. In respect of the fact that there are no super high-end hotel options in Madiun, you should enjoy the morning in the Alila Solo. Relax next to the pool and start your drive in the afternoon. 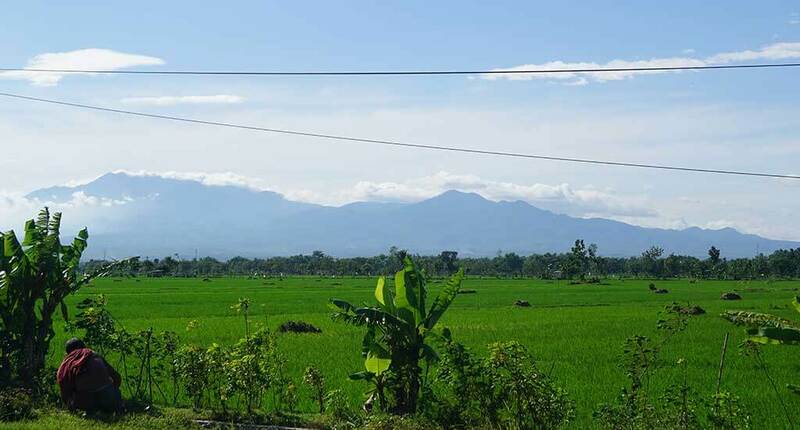 You can take the route via Gunung Lawu to see the foggy highlands where strawberries and other berries grow. Within three hours you are in Madiun. We stayed in the Aston Hotel. It’s the best hotel in that region but nothing special. You can try to drive further to Surabaya but for us it seem too exhausting for one day. It’s already day 8 of our Java roadtrip and the hotel in Madiun is a good reason to wake up early to drive to Surabaya. It’s the last day of 2017, a Sunday morning, and the streets are less crowded. Moreover the highway for the last hour of driving to Surabaya is empty enough to speed up to 120km/h – just happy once again. On the way there are no sightseeing highlights and we decide to spend the afternoon in the pool area of the Shangri-la hotel Surabaya. At ten in the morning we start our drive to Banyuwangi. Google Maps promised six hours and a half but this estimation is based on terrifique traffic conditions. Actually we needed two hours longer. Only the first hour is on a highway. Later you go on small streets which are incredibly crowded. Moreover Google Maps gives you smart recommendations for shorter routes but please never accept! After accepting it we ended up in the jungle on a muddy countryroad. You are just very happy when it’s over and you never know in advance if your car will rock it or not. 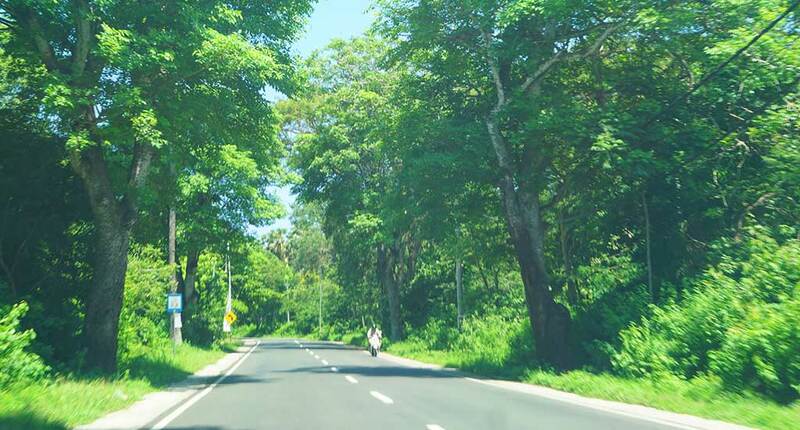 The last kilometers to Banyuwangi are next to the beach but there are not too many options to see the beach because of villages and jungle plants. 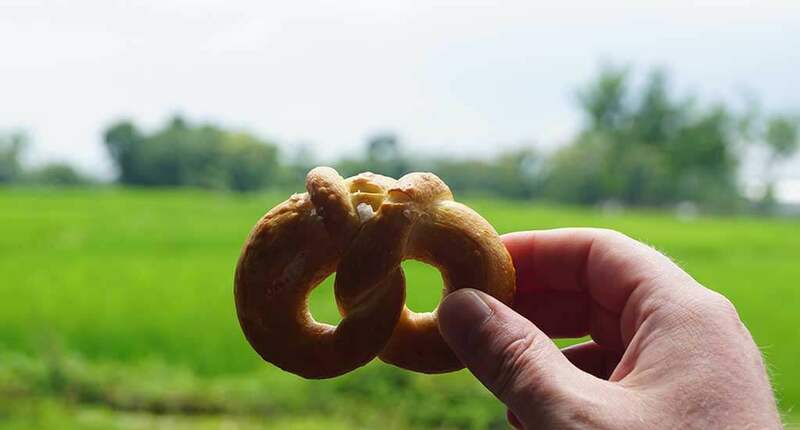 The “Wisata”/ Sightseeing places are not the same from a Western view: Too many people asking you to join their selfies, too much food, too much packaging waste. After a long day of driving we arrive in Banyuwangi at Bangsring Breeze Resort, a beautiful hidden place on the hills with a comfy and traditional Indonesian atmosphere and a great Indonesian cuisine. The Indonesian Curry is simply unforgettable. The resort is only a 20 minutes drive away from the ferry. 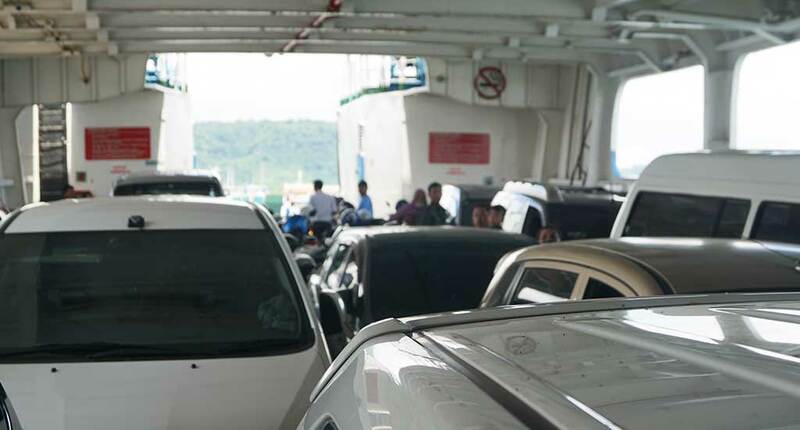 20 mins to the ferry and another half an hour on the ferry, than you are in North Bali. It’s really close to Java. We went straight to The Menjangan, Bali’s largest resort in respect of area because it’s located in the West Bali National Park. A new neighbour of this resort is the Plataran Menjangan. The park is home to wildlife animals like the unique Balinese deer. 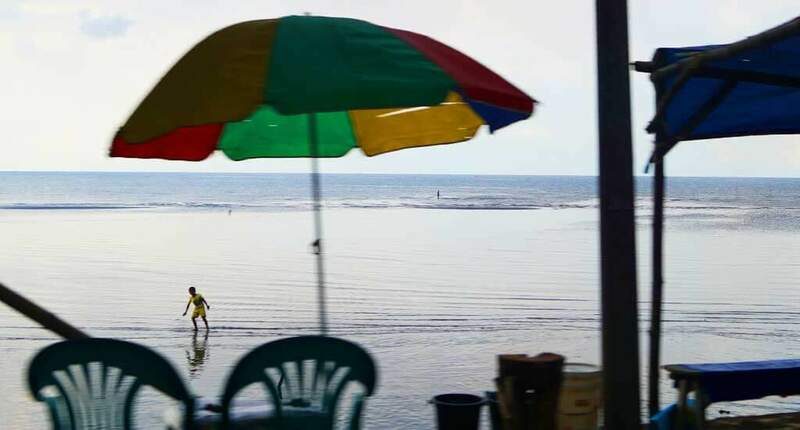 For us it’s a great place to relax after our Java roadtrip and before we go another 150 km to Seminyak in South Bali, where we return our rental car to Avis. Is it relaxing to do this roadtrip? No, definitely not. Is it adventurous? Absolutely and it’s a really unique way to experience the true side of Indonesia. 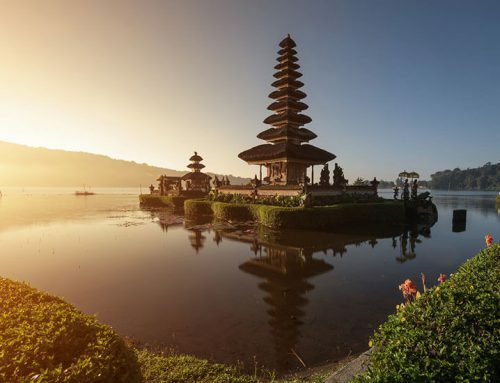 We would recommend this roadtrip to passionated Indonesian travellers, balanced couples who know each other longer than six months or good friends with a strong passion for adventure and cars.